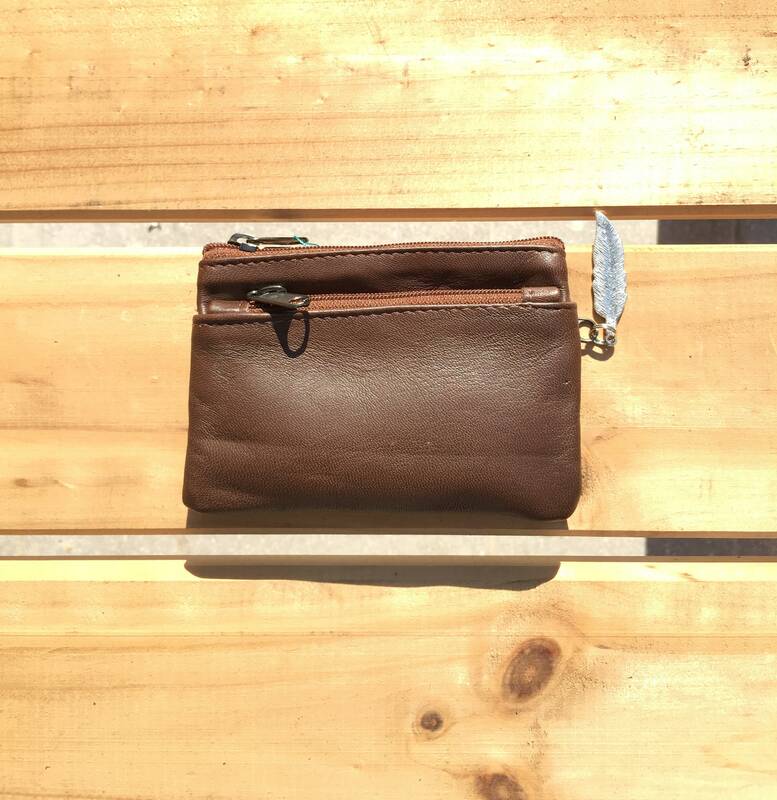 Small purse in BROWN, genuine leather, closed by 3 zippers. 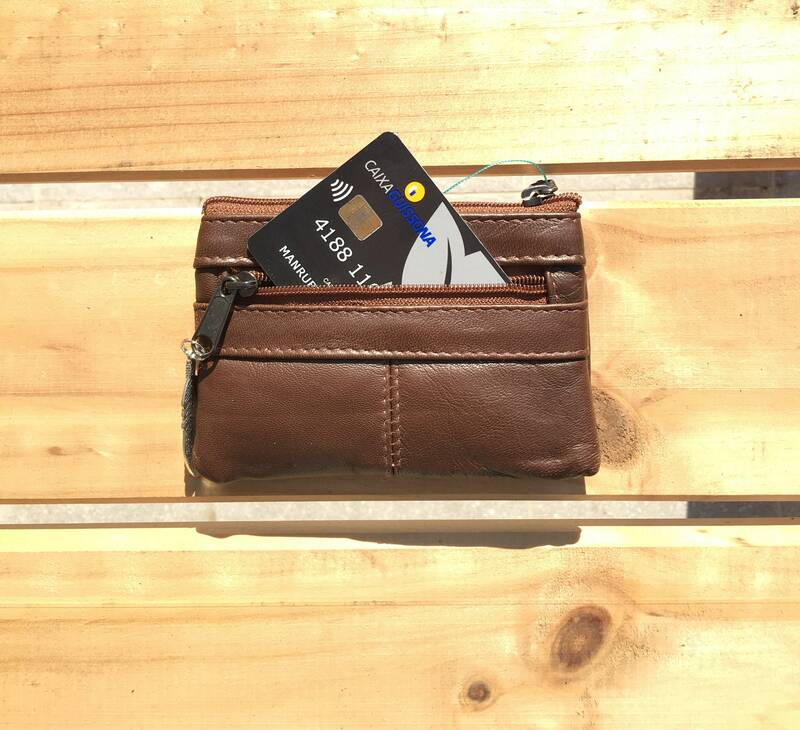 Fits creditcards, coins, bills. 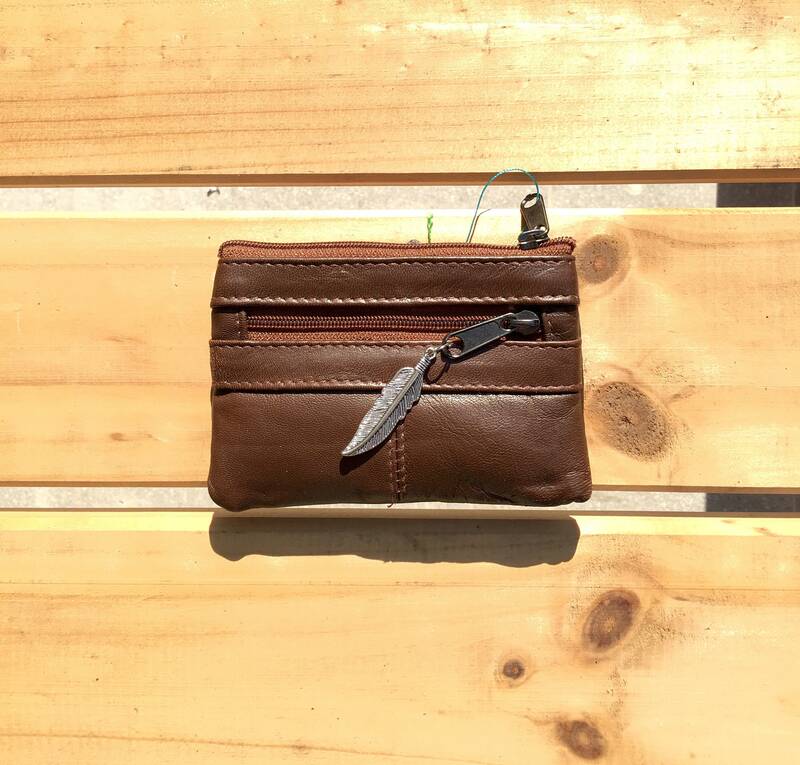 Soft TOBACCO BROWN leather wallet. 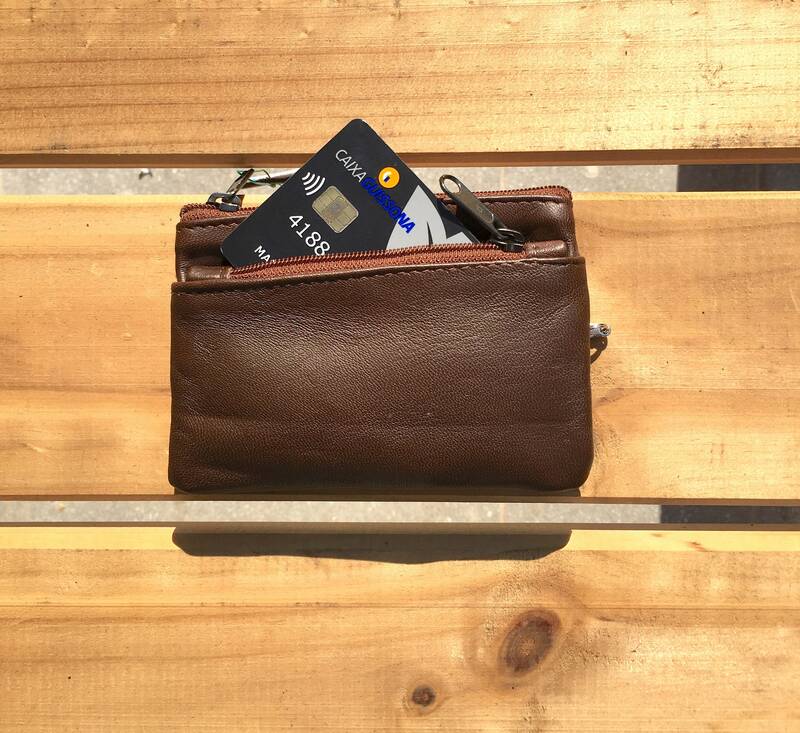 Large enough to fit regular credit cards. Metallic feather charm attached to one of the zippers.